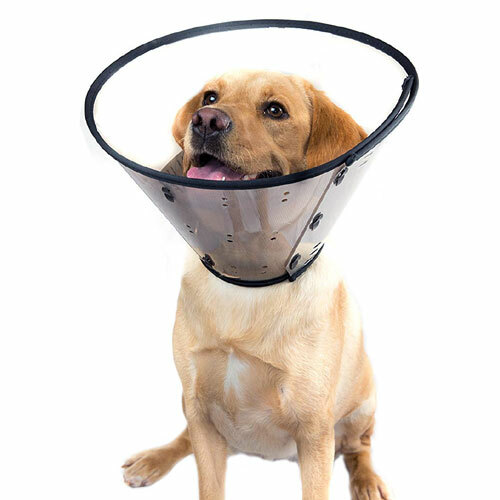 Smart Collar dog recovery collar by The Company of Animals is a lightweight, comfortable, padded and more humane version of the old fashioned traditional plastic cone Elizabethan collar. Older designs of Elizabethan dog collars are clumsy, uncomfortable and time-consuming to fit and adjust. Owners despair at the distress caused to usually active dogs, crashing into furniture and becoming dangerously disoriented. The Smart Collar recovery collar has been designed to overcome many of these problems. Made of translucent plastic for improved visibility, giving the dog a wider field of view than with traditional Elizabethan dog collars. Smart Collar is padded on both edges. The padding on the neck edge allows for extra comfort while the outer edge padding is to protect humans, furniture and anything else it may knock into. Also because it has it's own soft PVC neck piece, it does not have to be connected to the dog's usual collar, as in other designs. Simple to fit and easily adjustable. Snap studs make fitting and removing the Smart Collar quick and simple, even with a non co-operative dog. 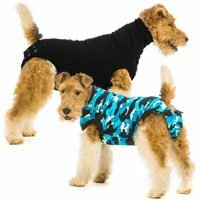 Developed and tested in consultation with Dr Roger Mugford of the Animal Behaviour Centre, who recommends this kind and practical solution to avoid self-mutilation in dogs and cats. 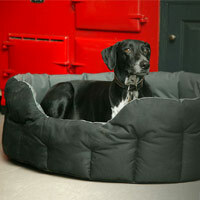 Five sizes available to fit all breeds of dogs. Measure your dog's neck (in cm) and for length measure from behind the ears to the nose (in cm). The collar supplied by the vets was almost impossible to remove to let our dog eat and drink. She also used the hard edge to bash at one of her wounds resulting in it getting infected. This was much easier to put on and softer at the edge. 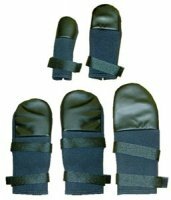 The only reason I didn't give it 5 stars was because the instructions were stuck to the collar and couldn't be kept once removed and left a sticky mark which was difficult to remove plus with arthritic fingers I still found it difficult to do up sometimes. Using a combination of this and a suitical she has now healed completely. Great product as it does not damage furniture or your legs due to the padding on outer and inner edge. Does not have to go on collar so easy to get on and off and our dog does not run in the other direction when she sees it. Together with the MPS suit her post surgery care has been so much easier that that of the past. Also advice from company fantastic and the item arrived the very next day as advertised even though we live in NE Scotland. Smart collar was the best option possible for our dog who had an operation on her front legs. The buster collar which she was given in the surgery was an utter disaster - non transparent and very hard plastic. Smart collar on the other hand was easy to put on the dogs neck, no need to undo the clips. It was rather comfortable for the dog to sleep in as well. It was essy for her even drink water from tha bowl. 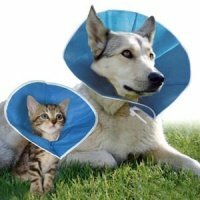 This collar I would recommend as a best possible collar for the dogs going through the tough time after opertsions. 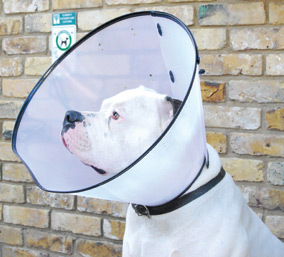 I think these are the best of the post-operative collars. I already have a smaller one, but wanted another to be ready for my dog's operation next week. I had hoped to get it by next Mon or Tues, but it arrived today (Fri), amazingly quick service, which is so important for a product of this nature. Many thanks.